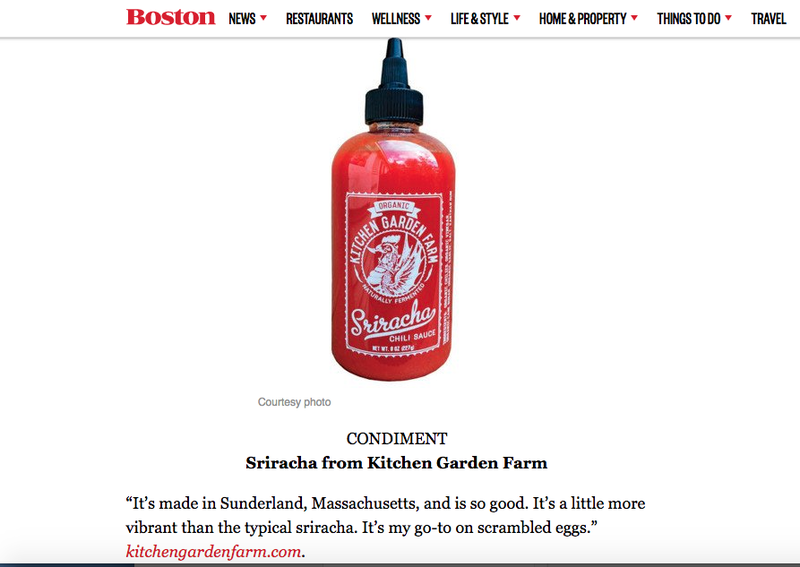 Kitchen Garden Farm Sriracha menu at Island Creek Oyster Bar in Boston on Feb. 11! Sriracha Wings for Game Day! This is Tim’s version of chicken wings, the ultimate party food. The recipe combines elements of Thai fried chicken, Pok Pok's Vietnamese Fish Sauce Wings, and Buffalo wings. Plus, it features our Kitchen Garden Farm sriracha, which is now widely available at stores throughout the Valley (see our Sriracha page). 1. In a large bowl, combine the wings, sugar, fish sauce and minced garlic and cilantro roots. Refrigerate overnight (or put in your entryway since there's not room in your fridge and it's the middle of winter anyway). 2. 20 minutes before you plan to serve the wings, heat about a quart of oil in a deep cast iron skillet or dutch oven to 375 degrees. 3. Drain the wings and discard liquid from marinade. 4.Dump the rice flour or starch onto a large plate and coat the wings thoroughly, a few at a time, then set them on a dusted baking sheet. Use more rice flour if necessary to get a nice coating on the wings. 5. Fry the sliced garlic until golden and just beginning to brown on the edges, about 3 minutes. Remove and set aside. 7. Mix the sriracha with the sweet chili sauce. In a mixing bowl, add the wings and fried garlic slices and drizzle on the sauce while tossing or stirring them to ensure even coating. More or less sauce can be added depending on the heat tolerance of your guests. An extra pinch of homemade roasted Thai chili powder adds an extra hot and smoky kick to the wings. 8. Serve with a garnish of raw and/or pickled seasonal vegetables. Note: to make roasted Thai chili powder heat a small skillet over medium low heat. Add whole dried Thai chilies and dry-roast until they change color from red to smoky brown, stirring often. Take care not to burn them. Allow to cool and them grind them to a fine powder in a mortar and pestle or specially designated coffee grinder. 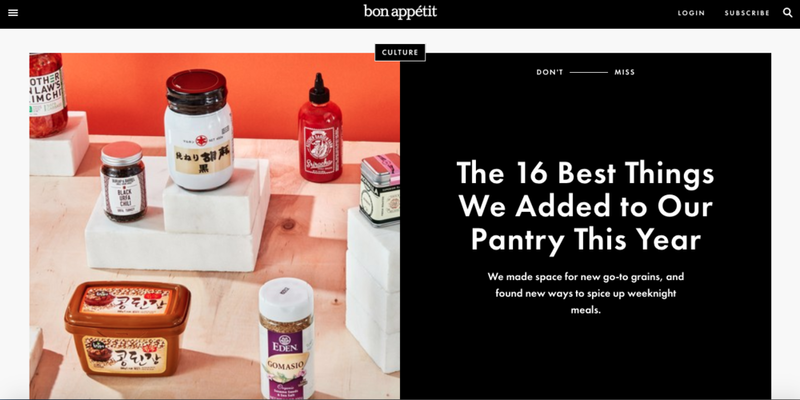 Best Pantry Items of 2018! Chef Andy Husbands names KGF Sriracha his "obsession"! Tomatillo Salsa in The Boston Globe!